U.S. President Barack Obama said on Wednesday he was looking forward to working with Egyptian President-elect Abdel Fatah al-Sisi, a day after Sisi was announced a landslide winner of the country’s presidential elections. Obama, who is traveling in Europe this week, plans to speak to Sisi in the coming days, according to Agence France-Presse. The White House urged Sisi to adopt democratic reforms, including governing with accountability and transparency and protecting the universal rights of all Egyptians, according to The Associated Press. It said in a statement the administration said it was pleased that international observers were allowed inside Egypt for the vote and that balloting proceeded in a calm and peaceful manner. However, the White House expressed concerns about the “restrictive political environment” in which the election took place. Egyptians celebrated late Tuesday the victory of their new leader, who has ridden a wave of victory since leading the ouster of former Islamist President Mohammad Mursi last July. From the historic Tahrir square to the Ittihadeya Palace, Sisi’s supporters danced and sang to popular election and national songs while waving flags, after the announcement of the official results. Supporters also gathered in different squares across the country to celebrate the victorious president. Sisi won 96.9 percent of the votes in the presidential election, the Presidential Election Commission announced on Tuesday. 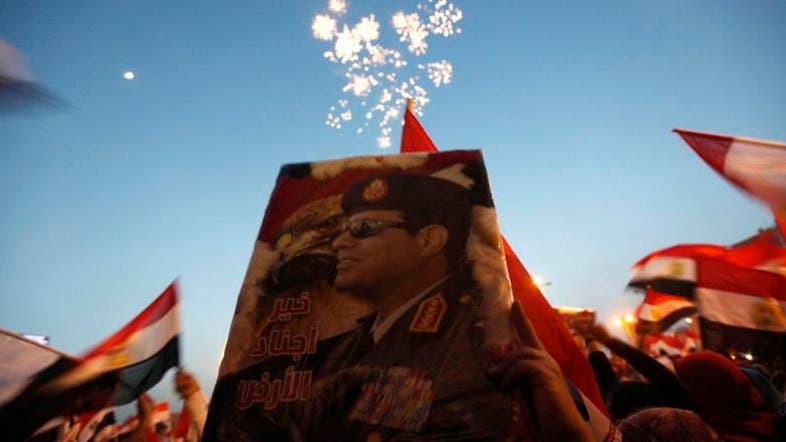 Obama’s statements may herald a new era for relations between Egypt and the U.S. after soured ties since Mursi’s ouster. The U.S. President had condemned a bloody crackdown on the Muslim Brotherhood and their supporters and had withdrawn much of the annual $1.5 billion in military aid it had traditionally supplied to Egypt. But it has since allowed military aid to flow back into Egypt. Following the announcement of the election results, Sisi delivered a televised statement thanking the Egyptian people, judges, the media for their roles during the electoral process. Sisi now faces a wide array of challenges in a country where street demonstrations have helped to topple two leaders in three years.